Drive a multi-proposal truck in the field. 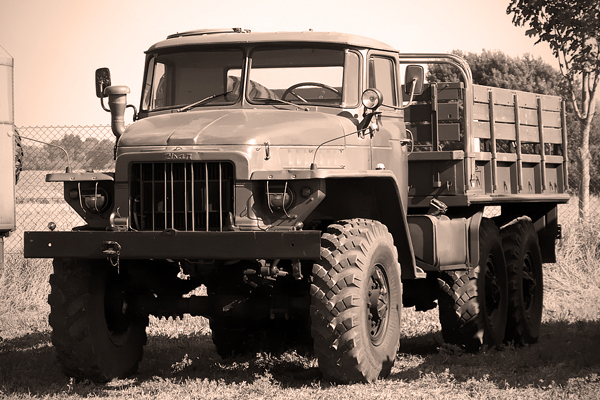 The Ural-375 is a general purpose 4.5-ton 6x6 truck, produced at the Ural Automotive Plant in the Russian SFSR since 1961. You will get a first-hand experience via one-to-one instruction on how to drive a Cold War Car! Upon arrival, you will be given a safety briefing before driving. Your 1 drive around Cold War car course of approximately 25 minutes followed by at least 10 minutes as a passenger with your Cold War Truck driving instructor.